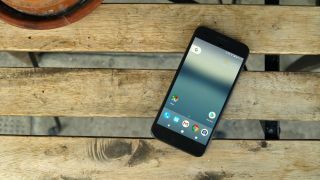 If you regularly use your Nexus or Pixel phone to get yourself online, the process should be a little bit easier from now on: Google has officially rolled out a new feature called Instant Tethering that takes care of much of the hassle for you. As we reported last month, the feature is aimed at tablet users who want a quick and easy way to connect to the web through their phones. If both devices are linked to the same Google account, Instant Tethering can set up a tethered connection in seconds. Say you've just unlocked your Pixel C tablet: if no regular Wi-Fi connection is found, it will scan for a Pixel or Nexus phone registered with the same Google account and automatically use the data connection on that device to get online. Once you're done with your web browsing or WhatsApp messaging, the Wi-Fi hotspot is disabled for you, so in theory you don't even need to pull your phone out of your pocket - everything happens without the need to delve into any menus or settings. "It would be nice if our phones and tablets knew how to work better together and could share their connectivity seamlessly," writes Google's Omri Amarilio in a forum post. Google has also posted a support article on the topic. To use the new Instant Tethering feature, you need to be using a Pixel or Nexus phone running Android Nougat 7.1.1 or later. The Instant Tethering option should appear under the Google menu in Settings.